Can you believe it is time to start thinking about Back to School season? Like most parents, just the thought of back to school season might have you feeling slightly stressed. The cost of school supplies seems to go up each year, making this time of year an expensive one. 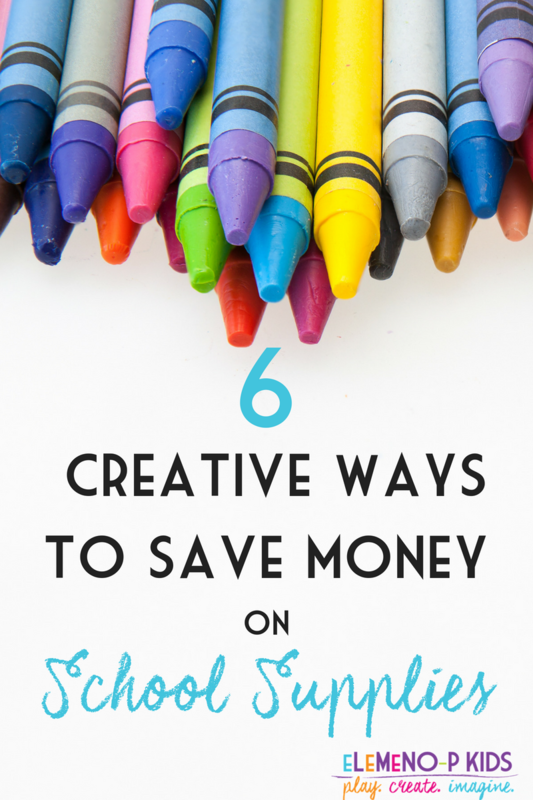 But fret not, as there are some creative ways to save money on school supplies. Look below at these creative ways to save money on school supplies, so you can be sure to get the supplies your kids need without feeling like you have been drained of your last penny! Find a wholesale store that sells things like notebook paper and pencils in bulk. Then, partner up with other parents to buy these items and split the cost. You will get a better deal when you buy in bulk, and the more parents you get to participate will take your costs down. One of the biggest mistakes parents make is taking their kids shopping with them. If you can go alone, do it. This way you aren’t pressured to buy the most expensive items, or the decorative items that tend to cost more. You can stick to the list and save. Character folders and notebooks cost twice as much as plain. Instead, buy plain and grab a pack of stickers at the dollar store. Then, let kids add their own creative touch to these items. They will love decorating them, and it will cost you less. Are any of last year’s supplies still in good shape? Chances are your child may have some unused pencils or rulers/folders still in good shape, or their backpack may still hold up for another year. If so, add these to your arsenal! Check around the house and see if any of your junk drawers have usable supplies as well. Every bit helps. Hit up dollar and value stores now while the selection is good. You can get items like crayons, pencils, and paper at as low as $1 without the hectic crowds. Dollar stores carry these items all year in the office supply section, so shop now and save money and stress. Send a quick email to your favorite office brands now (you can find a contact form on their website) and ask for coupons and if you are brave, samples! Give your address and see what arrives. They may send out money saving coupons and even samples of new products for you to try. Most brands are quite generous, and love to pass along savings to their customers. Plus, it never hurts to ask. So, are you ready to save some cash? 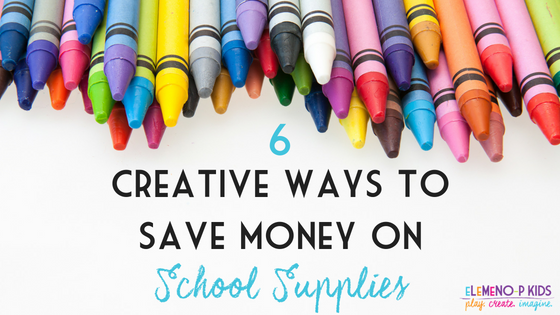 Before you head to the store, consider these 6 creative ways to save money on school supplies! You will find that back to school shopping doesn’t have to be so financially painful!